From Bellevue, Washington, the 6-3, 293 lb Henry was named Kingco Conference Lineman of the Year in high school. He committed to playing his college ball at Boise State University. 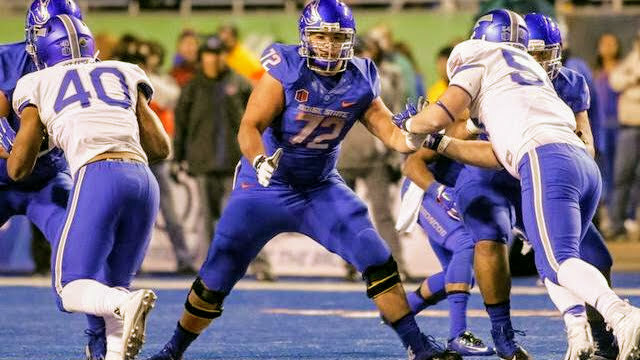 As a Bronco, Henry became an anchor of an offensive line that led the Mountain West in scoring (39.1 ppg) and total offense (501.3 ypg), ranking 15th nationally in those categories. He also racked up the personal accolades: Rotary Lombardi Award Preseason Watch List, Outland Trophy Preseason Watch List, Rimington Trophy Preseason Watch List, 2x All-Mountain West First Team and 2x Academic All-Mountain West. Undrafted due to concerns over his size, Henry was picked up by the New Orleans Saints as a free agent. Known for his nasty streak, good vision and footwork, Henry believes he has what it takes to excel in the National Football League. He will play in The Spring League in 2018 to prove just that.